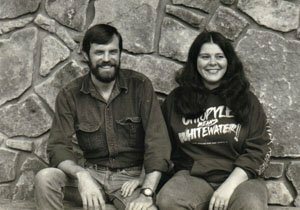 Mark McCarty began calling Ohiopyle his “home” in 1971, but had been visiting the area for some time before that. He first discovered the Youghiogheny River and the Ohiopyle area in the early sixties when he and his father came from Mentor, Ohio for scouting trips. He first worked as a raft guide on the Lower Yough in 1965. Mark was also one of the first people to paddle the Cheat River in Albright, West Virginia. 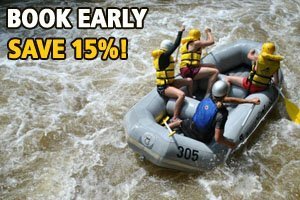 Mark was the river manager for another company in Ohiopyle when, in 1978, he and wife, Linda, purchased Laurel Highlands River Tours. In the early days, rafting was not very popular. But Laurel Highlands doubled the number of people they took down the river in the first year. Jim Prothero, an old friend and fellow guide, was once quoted as saying, “If you are looking at rafting companies in the last few years, it is Mark who has made something out of nothing.” Mark continues to jump on the river any chance he gets and still resides in Ohiopyle with his wife and family who lend a helping hand to the family business. Linda McCarty was born and raised in Ohiopyle. She first went whitewater rafting when she was in high school which is not unusual now, but very much so then. She did not run the whole river, just the popular “Loop” section on the Lower Yough, but she remembers that she was “pretty excited” about it. Her parents, also natives of Ohiopyle, helped run the old Ohiopyle House Hotel, where Linda spent many days as a child. The Hotel lends its name to the Cafe that Linda’s daughter opened in June of 2001. Linda has always had a passion for Ohiopyle, and has purchased several homes in town to make the guest houses we offer today. Liz, Mark and Linda’s daughter, has been helping out in the family business since she was tall enough to see over the counter. She started out dipping wetsuits after the river trips. Now, as Mark & Linda enjoy a partial retirement, she oversees just about everything as the General Manager. Liz lives in Ohiopyle, and enjoys spending her time hanging out with her black lab, Keida.